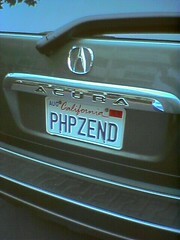 Not that it’s hidden out there (it’s on the main city site), but I still thought this might help some others out there headed to the Zend/PHP Conference next week. Oh, and if there’s anyone out there that hasn’t mentioned to me already that you want one of the t-shirts, either leave a note here or email me at enygma at phpdeveloper dot org and let me know. I’m going to have them with me at least one or two days so I can get them to everyone. We’re going to have a baby 🙂 woo!